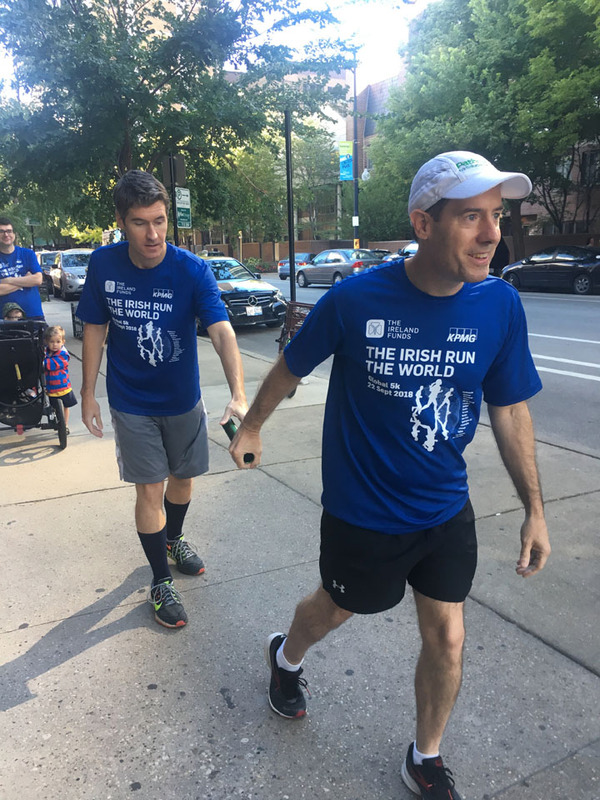 2 Chicago handing off the baton! 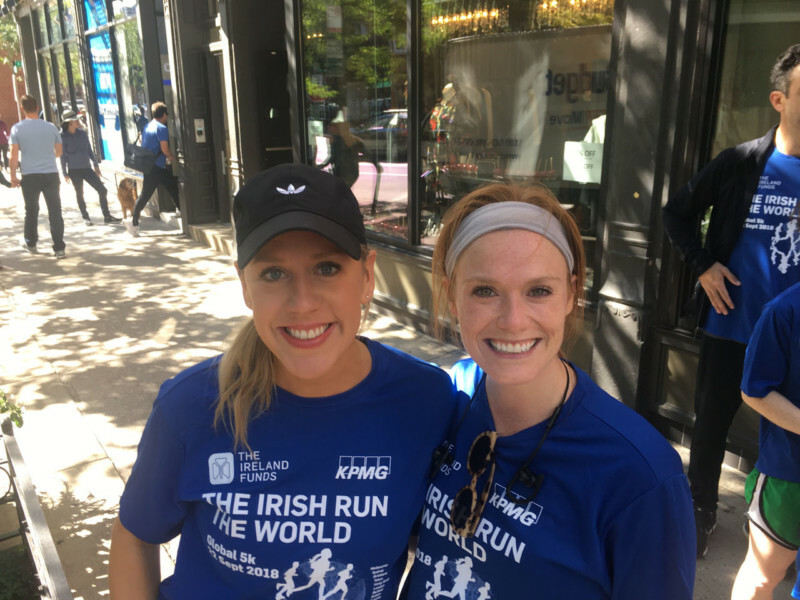 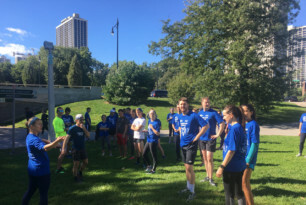 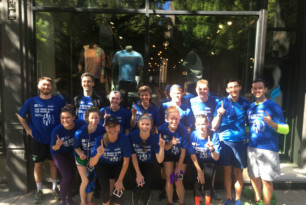 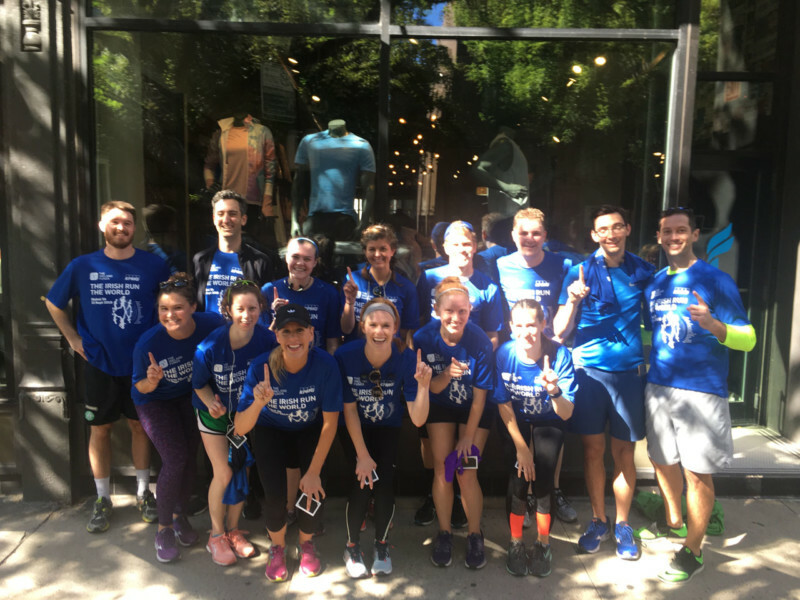 On Saturday, September 22nd, 2018, The Ireland Funds Young Leaders-Chicago hosted The Irish Run the World Global 5k. 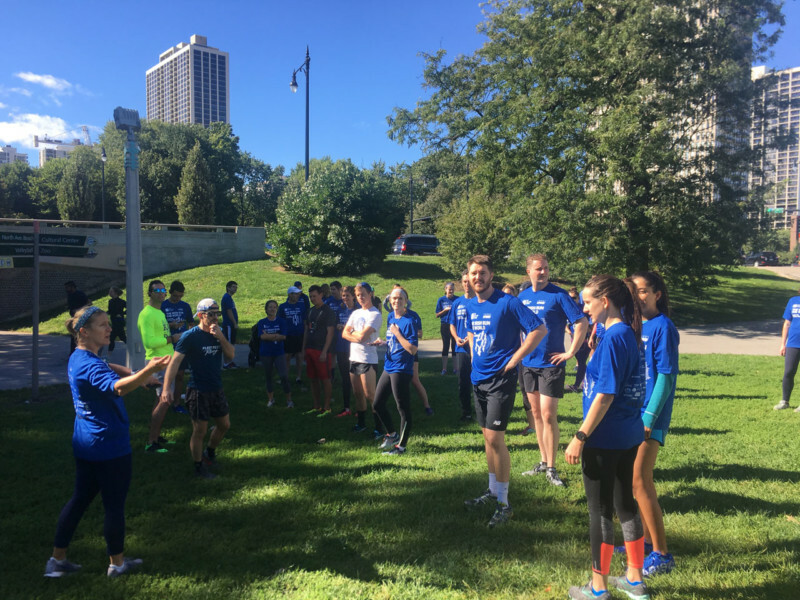 It was a beautiful day as over 40 runners set out from Fleet Feet Old Town to run through Lincoln Park. 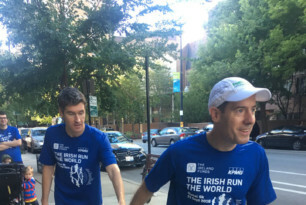 This race spans over 20 hours and covers 85km in 17 cities around the world raising funds for the work of The Ireland Funds. 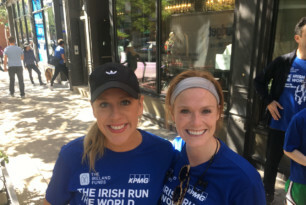 The Ireland Funds is a global philanthropic network established in 1976 to promote and support peace, culture, education and community development throughout the island of Ireland, and Irish-related causes around the world. 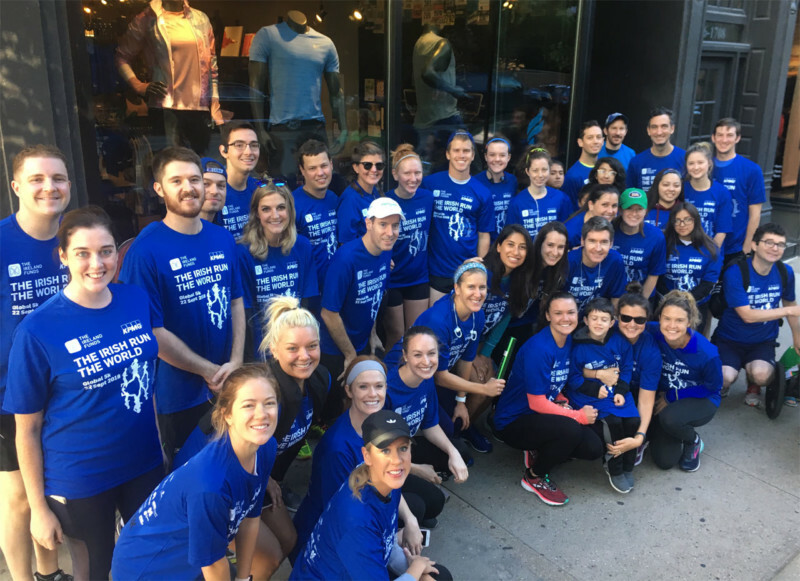 With chapters in 12 countries, The Ireland Funds has raised over $600 million for deserving causes in Ireland and beyond, benefiting more than 3,200 different organizations. 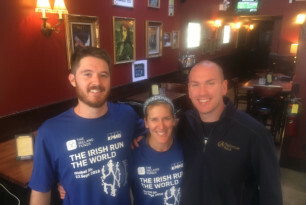 We would like to thank the Chicago Global 5k Co-Chairs, Kathleen Weber, Quinn McCarthy and Dan O’Keefe. 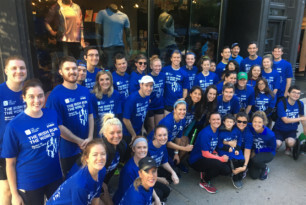 KPMG, Signature Bank, Flood Brothers, McCarthy Ford, Bimeda and Fleet Feet. 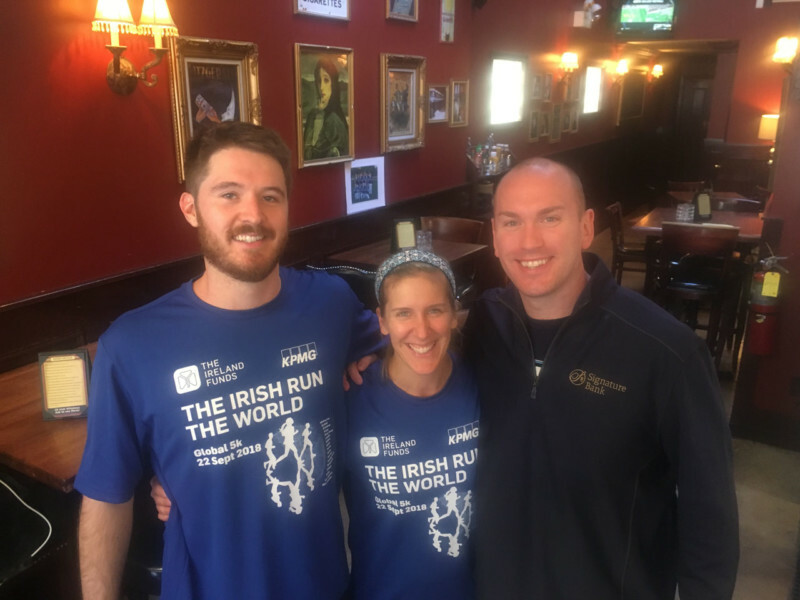 Congratulations to Doug Mateas and Treacy Weldon our first-place winners.